Nostrana is surely one of the most anticipated restaurants to come along in some time. Owner Cathy Whims was the chef/owner at the famed Genoa restaurant during its heyday. After leaving Genoa, she took a break, and has now come back with a vengeance. Located at SE 14th & SE Morrison, Nostrana is on the corner of what was once an old grocery store. Showing its roots, the interior is terrific, the arched wood ceiling soaring overhead, lighted by well-placed spots. A large pile of apple and cherry wood sits just inside the front door waiting to fuel the oven. Between widely spaced tables and touches like cork floors, conversation is easy. If you can take the heat from the kitchen, you can sit at the kitchen counter and watch the chefs in action. A nice bar area makes a good place to wait for your table, and on many nights you will wait if you don’t have reservations. This is one of my favorite interiors in any Oregon restaurant, though during daylight hours it feels rather cavernous. On nice days, the patio area out front provides outdoor seating. The wine list is varied through most Italian regions, with a few other areas thrown in, such as some Oregon pinot. A good selection of medium-priced bottles is available, though they have some interesting cellar selections too. Some of the house drinks are worth special attention; on warm days, the simple spuma della casa – fresh fruit puree and Lambrusco bianco is an elegant start. For the more adventurous, try the Manhattan della casa – bourbon, Mirto myrtle berry liquore, Dolin dry vermouth, and Peychaud’s bitters, served up, or their version of the gin Ricky with lime, cucumber, basil, Boker’s bitters, Pacifique absinthe and rocks, water carbonated to order. After all of these years, service still tends to lack focus. On one visit, they forgot to put in our order, on another a single entree was forgotten. Out of many visits, I’ve had outstanding service only a few times. The house-made charcuterie is a terrific first course that should not be missed. Duck liver & cheffy pate, coppa di testa, porchetta di testa, smoked lamb rillettes, fried pork trotter, ciccioli, red currants, preserved cherries and pickled kholrabi make up a large plate. It’s a tasting adventure sized just right for three to four people. Bruschetta is also excellent. Two pieces of bread come hot out of the wood oven with some lovely cheese and beautifully roasted cherry tomatoes; little bombs of flavor. The bread has a nice smoky taste, the crust just the right amount of crispness so that it holds its shape, yet easily tears when you bite into it; another winner. A salad of wood oven baked Corona beans impresses. The big fat beans speak for themselves, pairing perfectly with the tuna and pickled vegetables. The pickling is just strong enough to give balance to the other flavors without overwhelming them; a perfect fugue. Another dish, the antipasti misti “marinated fried squash, greens, marmalade, roasted red peppers with marjoram and irresistible crostini” sounded so unusual, I had to give it a try. I made the mistake of talking to our server as I bit into it, and completely lost what I was saying. A great choice. Grilled razor clams were on the menu during a Fall visit. Here they are laid out like butterflies. I could close my eyes and imagine I was chewing this while sitting at the beach. There were herbs and oil, perhaps some almonds, but mostly they tasted of wood smoke and an essential ocean element. They were smoky, tender, packed with flavor; a long savory finish. My brain always fights an internal battle with my taste buds over the insolata Nostrana. It is a large salad of radicchio, a rather bitter lettuce. You have to be prepared, but if you like radicchio, you’ll love this salad. The croutons are wonderful, loaded with flavor from rosemary and sage. The excellent Caesar style dressing does battle to offset the other flavors, and though I have had a similar version in many other restaurants, I always end up comparing them to the “perfect version at Nostrana”. In my opinion, a perfect Italian-style pizza should be very thin, and crisp, almost like a cracker. It should have a good scorch, with little bubbles of black on not only the top, but a slight scorch on the edges and all the way underneath. Here the mozzarella is hand-made, and the slow-risen dough is naturally leavened. I’ve tried three pizzas at Nostrana. Most of the nights I’ve tried them, they were close to perfect, meeting all of my qualifications. The pizzas were crispy all the way through, with just the right balance of toppings, terrific flavors. Try the Diavola with spicy sausage, house mozzarella, provolone, San Marzano tomato and Mama Lil’s peppers, or the Salumi with calabrese salami, tomato, provolone, house mozzarella wild oregano, honey and Mama Lil’s peppers. On one of my visits, they were serving gnocchi in Marcella’s Hazzan’s#3 tomato and butter sauce. While the gnocchi was very light, the sauce was a huge disappointment, tasting so much like the Campbell’s Cream of Tomato Soup I had as a kid, that I had a sudden craving for a toasted cheese sandwich and a glass of milk. This is another dish that needs a bit of work. I know that this sauce is pretty famous, but it just didn’t work for me. Another disappointment was the fettuccine with rabbit ragu. It was all rather bland and lacked the oomph to bring it up to the next level. I like the desserts a bit too much. The budino of dark chocolate is small, but very moist, oozing dark chocolate flavor. A carrot cake has been excellent on all my visits; not some thickly iced Denny’s special, but no icing at all, the flavors subtle. Others at my table thought it would be better for breakfast, but I refused to budge. A real standout is the wood oven baked crisp; this week it is apple and rhubarb. The ingredients are placed into a thin ceramic dish, topped it with sugar and cooked in the 700 degree oven. 20 minutes later it is delivered sizzling to your table, the sugar crackly and caramelized. When it is brought to the table, your server will pour a small pitcher of thick almond cream over the top to cool it off. This is a wondrous dessert, well worth the wait! Finally they have an excellent selection of cheeses. Recently the choices were a Rogue Creamery ‘Flora Nelle’, a Cypress Grove Humboldt Fog, and Burrata. I think Nostrana is one of the most exciting restaurants to come along in a long time, but even after all these years, they haven’t worked out the bugs in service. The pricing is good, the space wonderful, staff sincere if confused and the food sophisticated. I highly recommend it. Phone: 503-234-2427. Reservations available for parties of six or more. Hours: Open 7 days, Lunch Mon-Fri 11:30-2:00, Dinner Sunday-Thurs 5:00pm-10:00pm, Fri-Sat 5:00-11:00pm. Previous Post: « Winner of Our Food Haiku Contest 2006! I’m so glad you agree with me! girl cook, don’t we always agree? Um, what is it we are agreeing about? Any one thing in particular? That’s interesting what you say about the Hazan butter sauce. It’s one of the simplest sauces you can imagine, just tomatoes, butter, and onion simmered for a while. There are two Campbell’s tomato soups, one truly a cream soup with cream in it, and then the standard condensed tomato soup that everyone eats with their grilled cheese. The condensed soup, I know, has no fat, thus no butter. So head to head there must be a difference in richness if nothing else. I’ve never done a head to head tasting, though. Nick, maybe you should taste those two soups and compare them to that instant Campbell’s soup in a soda can stuff I see people eating sometimes ;-). I ordered the tomato #3 and butter, too, precisely because I wanted it to taste of nothing but tomato, onion and butter; wanted it to be unctuous and glossy and clean and rich and deep yet simple. Oh, and also because I adore gnocchi with just about anything. And these gnocchi were fabulous, light but with some chew. The sauce, though, was not flavorful enough for me; I found myself wanting to spike it with pepper and parmesan and basil. To make it another sauce, essentially. But that is my only quibble with Nostrana, which is utterly gorgeous, and, to my eye/taste, the most sophisticated yet completely comfortable restaurant I’ve been to in Portland. I think it really raises the bar. Love it. In Hazan’s Classics she does recommend garnishing with parmesan, I believe. But as you say, much beyond that and it’s a new sauce. Whims is a purist and it shows. Personally, I’m more of a sautee-a-bunch-of-onions-and-garlic-and-italian-sausage-then-toss-in-some-tomatoes-and-simmer-forever-and-finish-with-fresh-herbs sort of guy, but I see the allure of Hazan’s very simple and straightforward sauce. Heat oil in very large, heavy-bottomed pot. Add onion, saute until soft, add garlic and cook a minute or two, then add meat and saute, stirring not too much (you want some chunks) until meat has, um, grayed. Add Hunt’s sauce and herbs, crushing basil and oregano a bit in your hands. Add bay leaves. Bring to a simmer, then turn down as low as your flame will go, partially cover pot, and simmer three hours, stirring frequently so the bottom will not scroch. Notes: If you make this with a cheap-o pot, you’ll burn the sauce and rue the time/$$ you spent. Use only Hunt’s sauce. I cannot answer why, but you must. This sauce freezes beautifully, and is great to pull out in a pinch. As for why this sauce has such magic powers when served over pasta, I cannot say, only that, it does. As for its genesis: both my parents claim it is their mothers’ sauce. All I know is, it’s mine, and now, yours. That’s essentially what I do, except replacing hamburger with Italian sausage and fresh herbs for the dried. And I can never decide if I like bay or not. Also, I’ve become a huge fan of Muir Glen — sorry Hunt’s — and it’s often on sale at Safeway. As my moniker suggests, I’m not much for organic, but Muir Glen tomatoes rock. I’d add some salt, too, but then maybe Hunt’s has that covered. ;-) My ratios are probably half that much tomato to ingredients, too. Put in a pan and simmer for 45 minutes. We went to Nostrana again tonight, and had a solid meal but not as good as our first visit. We shared 4 apps around the table, with the bruschetta, the grilled mushroom and the prosciutto being very good, while the razor clam was a bit on the dry, rubbery side and seemed like a small portion for the $8 price. The margherita pizza had very good flavors, but could have used a more cheese…some bites were only sauce and dough and could have used more flavor interest. We didn’t try all of the entrees at our table, but while my wife’s gorgonzola and anchovy pizza had a nice crust, it was extremely oily on top (she had to ask for some napkins to sop up the grease, otherwise it would have drenched the crust when she first cut it), and she said the anchovies didn’t seem like the top-quality salt-packed version and had a more pronounced fishiness to them than she expected. My porchetta sounded good on the menu, but the outer part of the pork roll hadn’t been cooked enough (the skin was supposed to be more like cracklins but was more tough and gummy than “cracklin”), while the inside part was on the dry side. I wouldn’t order it again unless I knew it was going to come out crispy on the outside and moist on the inside. The service and timing seemed really out of synch tonight. My appetizer came a good 5-7 minutes after everyone else’s arrived, and I had to ask to make sure that they had remembered it. After we had ordered dessert, it must have been 30 minutes before we received it…again I had asked just before they arrived. We didn’t have these issues on our first visit, maybe because we were at the bar, but from reading other comments it sounds like the service and timing really needs work. As expected, they’ve improved the wine list since our first visit, but still haven’t purchased any larger red wine glasses (if you’re going to carry good Tuscan and Piedmont wines, get appropriate glassware). Also, despite sharing a good-sized taste of ’90 Caprili Brunello Riserva and buying a bottle off the list, no break was given on the $12 corkage. I still haven’t heard anyone report good service yet. Talked with a fellow PortlandFood.org regular and he said that he had several service errors as well. He also had the margherita and like you and me, Marshall, thought they had over-skimped on the toppings. He had been wrongly served the mushroom pizza at first and wished it had stayed instead. He also was not a friend of the radicchio Caesar, which I would not be surprised to see fall off the menu soon. It’s just too bitter for most people. I’ve only heard complaints about it so far and talked to several people who didn’t finish it. We had great service. She was attentive and funny and confident. Also, msg: the sauce I make is with Hunt’s Sauce, not tomatoes. Realize this sounds like the height of plebianisn but, somehow, it’s great. We ate at Nostrana last night and it was one of the most disappointing meals I’ve had in a long time. The cured meats were indeed excellent but that was about it. The Barbaresco that we had was thin and lacked character, it was the one recomended to us by the bartender. The salad was left in huge chunks that even with my knife and fork left me feeling more like a butcher than a diner, not to mention the dressing of only a bottle of oil and vinegar that laked character on all fronts. The pizza margherita was bland and burned round the edges. The couple next to us had the fungi pizza which was under cooked at first then remade and was better. Next we had the sausages which lacked depth of any kind. They could have been frozen generic sausages from the texture and taste of them. We did end up getting a nice glass of red later after we finished our bottle but overall, the restaurant was beautiful but quite a disappointment and overly heated. I can’t help noticing how quickly some of you are to find fault with such a new restaurant. One (and perhaps only one) good thing I can say about the Oregonian is that they have a policy not to review a restaurant within the first several weeks of opening. I admire this policy because it affords the owners a reasonable amount of time to zero in on some of the service and food issues a few of you are chomping at the bit to point out. Why not wait a few weeks before you storm the doors with your mental notepads in tow? I would also like to take issue with Marshall’s comment about there being no “break” on the $12.00 corkage fee. Marshall, the “break” you are getting is that they have a corkage policy at all. Sharing some of your wine may be a nice gesture, but it doesn’t pay the rent. I don’t think I’ve seen anyone say that they wouldn’t be back or recommend others not going there. And Food Dude hasn’t “scored” it. I seem to be saying this a lot lately, but it’s worth noting that I don’t consider what I do “reviewing”. I report my experiences. What people in the blogosphere do and what newspapers do are much different in the fact that once a newspaper gives a place a review, that’s it. That’s their opinion on the place. Here and on misc message boards, it’s a conversation. A clever restauranteur would troll these boards and use them to get an honest look at how they’re doing, as constructive criticism they can rarely get said to their face by their customers. I’d be surprised to hear if anyone commenting didn’t expect Nostrana to get better, especially when it comes to service mistakes. What are you lobbying for, a 30 day gag rule on new restaurants? No, I don’t think it would fly. Somehow just the words “gag rule” when paired with “new restaurant” might be cause for alarm. Exactly, Nick. I’m not “reviewing” Nostrana, just reporting on our experiences there. One was excellent (which I reported on Chowhound because Food Dude didn’t have his review up yet), the other was good, but needed some work. I think it shows real promise, but isn’t quite consistent yet, and that’s what I’ve told friends who have asked about it, and I think my report on our visit last night reflected that experience. The other thing that I find funny is the idea that it’s okay for a restaurant to charge diners full price, yet we aren’t supposed to report on those experiences? If they aren’t well-prepared enough to serve the public, then they shouldn’t be opening yet. Or at least they shouldn’t be charging the customers full price if they’re only delivering 75% of the product. As far as corkage fees, restaurants are free to do what they want. But, for those who are interested, I’m going to report on our wine experiences. And, while giving customers free corkage may not “pay the rent” as you say, it sure brings a lot of good will, especially when the other service and timing was lackadaisical. The other thing is that I’ll rarely (if ever) bring a large wine dinner (8+ people spending $400+) to a restaurant that insists on charging for all of the corkage fees. And tabs like that, as well as the positive word of mouth that comes from a really good experience, do help “pay the rent”. Food Dude- I meant agreeing with me on Nostrana. It’s got the most potential I’ve seen in a while in addition to the best interior. I didn’t think they over skimped on toppings, although my friend did (but he’s never been to Italy or the east coast). Also, I really liked the Nostrana ‘caesar’. My one disappointment was dessert. I’ve heard people say good things about the panna cotta, but hell, you’d have to try HARD to mess up sugar, cream, and gelatin. Also, I’m going to doubt seriously that a server would be given the go ahead to wave a corkage fee because you gave them a glass of wine. Bringing a large party in for a wine dinner is a whole different story, as maybe would giving wine to someone with more authority. I’ve had a lot of pizza in Italy. Most of them were rather light on toppings. I think a lot of people here expect the pizza hut bury us in toppings approach. Look how popular Pizzicato is and their pizzas are relatively lightly topped. Apizza Scholls has lines out the door every night and limits customers to two toppings beyond cheese and sauce, and even those are relatively light. My issue with the margherita, similar to others I’ve heard, is that it’s not just lightly topped, but so lightly topped that you can never taste all three flavors — sauce, cheese, and herb — together at once. Most bites are sauce only — at least in my one experience. There were probably only six leaves of basil, which were rather shrivelled after being cooked, on my pizza. EMSG, excellent points in your previous post re: the expression of feedback that wouldn’t otherwise come through. Myself, I am seriously mortified to bring up problems with my meal – perhaps because I’m in the industry and am extremely patient (when I’m not working). I agree, in particular about Mr. witzend’s post about service. Unless someone is seriously dedicated to a person (as I could imagine someone would be to Cathy Whims, et al. ), the good servers are probably making good money somewhere else and need to be assured that they will make good money in the new venture, regardless of how ‘sure’ it might be. Cathy did take a break, and people have to make their money somewhere. But saying that the Oregonian doesn’t review a restaurant until a certain timeframe has passed…. Was the article about Roux a review? No. But it might as well have been, without any negativity. And Marshall, the corkage issue is worthy of a serious debate. Maybe it’s just me, but I think that corkage fees and wine list prices are some of the most divisive issues around. Let me just say that I have seen some serious, serious corkage abuse. Not to get off topic. I really look forward to trying Nostrana. Girlcook, (not to make it a huge issue, because it wasn’t…I’m just trying to report how restaurants deal with corkage, not saying they are a poor restaurant because of it) the glass was given to one of the owners (Marc) who also decanted the wine and commented on what a nice bottle it was, how well it had been stored, and how good it was. My favorite corkage policy is at Carafe, where there’s no charge as long as you share with the staff (or Pascal…whoever gets there first ;-) ). Maybe I’m missing something in the fine detail but isn’t a review nothing more than reporting your experience and your opinion of the food and atmosphere, service, et al., i.e. exactly what Marshall and Dude did and what Nick does? Sure, “review” can be understood quite broadly, but I think that when we talk about restaurant reviews, what we generally have in mind are the very traditional, comprehensive critiques of a restaurant that are found in newspapers and magazines. In that sense, what Food Dude does (though not with Nostrana) is much more in line with traditional reviews. He makes an effort to go to a restaurant several times before putting out a full review and making a conclusive statement about the place. He makes an effort to try a range of dishes and an effort to try the place on a range of days and even times. Then after these more comprehensive experiences, he gives it a score, etc. Ideally, this is the approach professional reviewers take. It’s not the approach I take. And because of that, you rarely see reviews, in the comprehensive sense, on extramsg.com. And when I report on Chowhound or PortlandFood.org, it’s almost always one specific meal and nothing more, except perhaps some references to my overall impression in previous meals. Reviews take a lot more effort and money than I have to spend. It’s hard enough just doing the reporting I do. Again, I agree with Nick here. To me, a “review” should include multiple visits, include numerous dishes, and be fairly comprehensive on all aspects of the menu. Also, as I mentioned in another post, I don’t consider my restaurant background sufficient enough to consider myself a “reviewer” or “critic”. I haven’t eaten in many of the best cities for dining, haven’t traveled to the home of the cuisines and haven’t read enough on food history to consider myself educated enough to post an “official review” of a restaurant. I think we’re getting too fancy with the semantics here. Yes, to the person composing the piece, it may not be a “review” in the classic sense. But, let’s be honest about the context. You are writing on a website devoted to discussions of local dining, you have a good enough background for writing “reviews,” and you are discussing a recent dining experience with an eye towards what worked and what did not work. Folks, I hate to break it to you–that’s a review. Sure, Dave, as I noted before it is within a normal use of the term “review”. But you’re falling prey to the fallacy of equivocation. In distinguishing between a review and a report, I’m pointing out that there is a qualitative difference between what I do and what newspaper reviewers do (or should do) and what Food Dude does. It is useful for me to call my reviews “reports” to highlight that distinction. It’s a distinction WITH a difference and therefore meaningful. And the difference is not only meaningful for myself, but also for the reader who needs to realize that what I do probably requires more caveats and qualifications than what Food Dude does. And I believe your splitting an extremely fine hair. The bottom line is you and others (not picking on you Nick)are giving your subjective opinions regarding experiences about restaurants, e.g., the carnitas was dreadful. That is “reviewing” the food, “a critical report and evaluation” (Webster’s). I don’t think you or Marshall or FoodDude would be putting your opinions out there unless you wanted them read. While we can agree or disagree, you shouldn’t downplay the import of your reviews (or reports, or whatever). Here’s a question. Coupla local spots (Nostrana, Valentine’s, at least) serve Salumi meats. Does this mean that there is somewhere in Portland to buy them retail? (And is it conveniently located to an ATM or home mortgage business?) I half-remember I saw them at Elephant’s; did I? Or are they somewhere else? Or does one just have to go up to Pike Place Market to get them (deLaurenti’s)? Marshall- Ahhh, I understand now. MSG- You’re also the few that know what/who “Marcella’s #3” refers to. And for the record, in my opinion Apizza lost it when they moved. In case you want something a store doesn’t carry and just happen to have access to a slicer, although some products don’t require one. re: toppings. When I was living in Italy, I found there were several schools of thought on this for the margherita pizza in particular. One says each topping/flavor speaks for itself and you don’t necessarily need to get a ‘combination bite’. I suppose it depends on the quality of ingredients and the particular diners taste. Girl Cook: That’s why I added the last name: “Marcella’s Hazzan’s#3 tomato and butter sauce”. Girl Cook: That’s why I added the last name: “Marcella’s Hazzan’s #3 tomato and butter sauce”. If a restaurant is not ready for business then don’t open your doors or say you atill doing trial runs. If it’s new or not who is to know if their doors are open and they are serving food to a packed house. Having said that, I typically give a restaurant 3 tries, 3 strikes and you are out. Having lots of friends that are chefs and restauranteurs and being a chef myself, I always look at at dining experience with a double edge sword. On the one hand there is expectation of something wonderful and on the other I know we can all have a bad night. With that in mind when one so outways the other, something must be said. As a chef I would want to know so as to work on improvements. To not know only builds complacency and poor quality in to dining. As chefs, we can have big egos but to have the humility to make things better ever day is what I strive for in my cooking and eating. City Mark-Up has Salumi over on 21st. It is huge $$$. Thanks for the Salumi link and the referrals to City Market and C&W! I think Curds & Whey had it for $16.99/lb when I bought some a few weeks ago, so if the wholesale really is $16, then they aren’t taking much of a margin on it. I have a photo from my last visit to Salumi and most of their stuff was $15/lb and under. So I think NickyUSA must be getting it at not much under Salumi’s retail prices. Then the wholesale prices to those who buy from NickyUSA are probably higher than the retail prices at Salumi itself. An odd economy given that Salumi is only 3 hours by car, but understandable since restaurants aren’t likely to drive up there on a regular basis. But do you see the difference between someone who gives a comprehensive opinion on a taqueria, eg, and someone who just says that on one visit the carnitas were bad? Unlike a book, movie, or album, a restaurant is in constant flux and it takes repeated visits to give a credible overall opinion. Even then, half the menu may still be unexplored. We had terrific pizza there at lunch on their first day serving lunch, Monday Oct 31. The antipasto platter had 6 paper-thin slices of Salumi product — maybe 10g of product total, or about 30 cents worth at $16.95 wholesale — so thin you couldn’t even taste what they were. Of course Nick but I think you’re dealing with a matter of degree, i.e., a comprehensive review vs. a limited review. It’s still a review. Frankly, I see the latter as being more dangerous as an uneducated reader may be reading it to decide whether to try a place out. Exactly, but that’s why it’s worth calling them something else, to highlight that there is indeed a difference. A difference in degree is still a difference. Eat one aspirin and you cure a headache. Eat 100 and you die. We call the first a medicine and the latter a poison. Okay, this conversation has ranged far afield from the review of Nostrana. Let’s get it back on topic please. If you want to argue the other, jump over to Nancy’s last essay. From the perspective of someone in the San Francisco restaurant world, some of these comments are so “cute”… I would LOVE to find a single place in SF with a corkage of $12 or an appetizer list with prices that begin at six bucks. That being said, it is an un-stated principle in the industry that sharing a glass with the server warrants a waiver of the corkage fee on that bottle. NOT, however, a waiver on multiple bottles – it never ceases to amaze me how people think that it is A-Okay to walk in with a case of wine and demand a waiver for corkage – Hey! Why don’t you bring your Weber and grill your own food?! Sure! Bring your screaming kids, your fussy relatives and a few steaks, and we’ll just smile and make sure that you have enough TAP WATER to make you happy while you eat. Seriously. Most restaurants go out of business within five years, and the fact is that margins are thin. I agree that food should be top-notch, but it seems that often people are looking for a degree of perfection that is simply unattainable for $25 per person. Sorry Dude. The chain evolved (or devolved) due to my stubborness. It’s alays been a point of contention with me that someone will give a number of opinions on dishes and say they’re not “reviewing” the food or restaurant. Doesn’t matter the degree – one aspirin may cure and 100 may kill but that analogy doesn’t carry over. One negative “review” can kill in the restaurant business. However, I’ll hold my opinions for now. My apologies. So, for what it’s worth, I went this evening with two girlfriends and whilst we loved the atmosphere and the architecture the food left us wanting. We ordered 2 appetizers between 3 and only received enough bread for 2, so had to ask for more. The eggplant was lovely if a little garlicky, and the various meats as mentioned before so thinly sliced there was little taste left. We had one order of steak cooked medium-well done, one steak medium-rare and lamb for our entree’s. The waitress came back and told us that the chef only did the steak one way and medium-well done was not it, so my friend ordered the pizza marinara instead. We felt that the pizza (which arrived a good 5 mins after the other two entrees) was overcooked and still managed to be tasteless, the lamb was uninteresting and the steak pretty good. Clearly there is some way to go. Things looked up with the dessert – a shared pear crisp that was delicious and plenty big enough for the three of us to share. Overall a bit disappointing but not worthy of a complete slam. I’ll be back in a few weeks to try again. I live right down the street from Nostrana and had been anticipating its opening for months. (I am also a big Gino’s fan – one of the co-owner’s other projects). I have been in 4 times now and while the service has been improving steadily, the food has been more disappointing every time. I am secretly starting to wonder how Cathy Whims got such a glowing reputation. She may indeed have talent, but cooking for a slow-paced pre-fixed menu restaurant like Genoa is quite a contrast to Nostrana and I am at this point convinced she is not up to the task! I have ordered or shared a pizza (An insider tells me Cathy does the pizza station) at each of my 4 visits and while I thought the first one I had in the opening week(fungi) has promise with a deliciously chewy crust the subsequent versions have been A)burnt B) undercooked (chewy crust – but NOT in a good way!) or C) left me with the worst case of heartburn I have ever had – including when I was pregnant! I will keep trying…however, I hope Ms. Whims either goes back to making the pizzas as she did the first week or hires someone who can execute what she seemingly cannot! PS: The desserts have been delicious – and very well- suited to the time of year – kudos for that! SouthEaster: Your experiences are mirroring mine. Every time I go it isn’t quite as good as the previous visit. I think we need to give them some time to sort things out. I have been waiting for Nostrana to open since I first noticed the stirrings of construction activity there while waiting for a bus. I have yet to go because of scheduling difficulties, but I very much appreciate the variety of perspective everyone here has offered. Honestly, if I could just find a decent salad, glass of wine, and some good bread within walking distance of my home, I would be very happy indeed (Nostrana fitting the distance requirement, at least). That said, I find the corkage conversation curious. I have been working in restaurants for more years than I have been of legal drinking age, many of them as a server (in other states, it is legal to serve alcohol at the age of 18). A corkage fee is no more negotiable than the price of an entree. Meaning, offering me a bit of your pork doesn’t mean I can knock five dollars off the price; granted, the difference between something I have regular access to and something I don’t is appreciable. Also, I work for the restaurant and its owners, I am not at liberty to give anything away without express permission, and without permission, any such act is tantamount to theft. If your only motivation for offering a taste of something is the idea of a discount that may or may not materialize, wouldn’t you be better off simply agreeing to the stated terms and enjoying the wine you brought yourself? I certainly don’t mean to discourage sharing as a means to enlightened discourse, or as a friendly gesture, and by all means in the case of special arrangements (e.g. special occasions, wine dinners, whatnot), and at the owner’s discretion, there should be room for malleability. I don’t mean to discredit the warm sort of family meal experience that the best sort of restaurants engender, but it’s a little like complaining about a tax after having voted for it. Let me reiterate the fact that I am enjoying this site and the comments shared, but as a person who has been on the front lines (and the dishline, and the bar, and the management, and the line itself), I find that sometimes restaurant commentary tends toward the dismissive side when it comes to appreciating what goes into the less observable aspects of service. I visited Nostrana last night with 3 friends and had a very disappointing experience. The food was decent, but nothing spectacular. I could go into the food specifics, but the real problem was the service and timing. we had just ordered a bottle of wine when all of our food arrived at once (2 appetizer pizzas, 3 salads, and the entrees). Our waitress did not deliver the food so she showed up and found us surrounded by dishes before we took a bite. she offered to remove our entrees, but the damage was done. One of the owners dropped by the table and his only comment was something like ‘Wow, you jumped right in’. We cancelled the bottle of wine, ate, and skipped dessert. When we mentioned the poor timing to the owner at the end of the meal he looked at the bill and offered to ‘make up for it’, we declined saying that was not really the point. He then took the bill away and didn’t remove anything from it. I believe if he was really interested in making the customer happy and turning a negative experience into a positive one he should have made good on his offer – no matter what we said. Instead we left feeling like we had had a pretty crappy meal and experience. On a side note the meal was further tainted by the group at the other end of the family table at which we were seated. The guy (a local bar owner we heard – along with everything else he said) spent most of the meal talking loudly about himself and dropping the F-bomb in every other sentence – nothing much Nostrana can do about that I guess. I forgot. Do you guy know anything about wines? I hate to tell you foodies that thin ain’t the only thing going on for the “perfect Italian pizza”. Just ask the Neapolitans that don’t refrigerate their dough’s and dig them out of a wooden box as needed. Chewy is IN! over at the tail end of the boot. Fathom, I missed your comment earlier, but just saw it now. First of all, as I said before, my comment about the corkage at Nostrana was just a one sentence recount of our experience, and I think some people made a larger deal out of it than they should have. It was just a piece of information for those wine geeks out there who like to bring their own wines. Second, corkage fees are negotiable. I’ve called restaurants when we’ve done large wine geek dinners and asked about corkage fees for multiple bottles. Some restaurants are willing to negotiate, and some aren’t. But the ones that are willing to negotiate and that provide good glassware/wine service are generally the ones we visit. These are generally dinners of 8-10 people where we open 10-15 bottles of wine, and a lot of good wine gets sent back for the staff to enjoy either at that time or after their shift. Paying for corkage on that many bottles is just silly, especially when we often end up doing most of the pouring and decanting ourselves. I was afraid that all they hype about this restaurant was misplaced, and disappointed when my dinner confirmed it. The food was mediocre. But the service was positively awful. It was as though we were an afterthought the entire time we were there. I will never go back. I recently visited Nostrana for the first time and was extremely disappointed in every aspect of our evening. We are a very easygoing party of six, so to get us worked up our experience must have been horrible. The restaurant was out of four of their main entrees very early in the evening and we were not notified of this until our orders were being taken. The service was the most disappointing aspect of the evening. Our waitress’s haphazard attempt to service our table was the salt in the wound that was our evening. Nostrana must make some serious corrections in the management of their restaurant if they hope to have a long-term relationship with SE Portland. Our first,and maybe last visit to Nostrana was a bit disappointing. Early dinner, the restaurant was about fifty percent full. The ambiance was so so If you were seateed in the half of the restaurent closest to the kitchen (which we were)it was charming,but the other half looked pale by comparisom. Service was fine, food was good but the two entrees we ordered were more like appetizers.The gnocchi was delicious, but six dumplings? Also $6.50 for maybe a 1/3 filled glass of wine was a bit much. I’ve eaten at N. twice in the past week: once for lunch and last night for dinner. We arrived at 7 and were told there’d be a 25 minute wait for a table for 3. After one-half hour, we were offered 3 spots in the large booth, already full of twenty-somethings. Um. No thanks. After an additional half-hour we got a table. The hostess was nice and apologetic, but the restaurant could have comped an appetizer or something. Now I’ve spent a month in Italy, so I “get” the menu and what they’re trying to do, BUT Portland ain’t Italy. If you — Nostrano — serve gnocchi that, as mentioned above, is the equivalent of a smallish appetizer, spring for a contorni to go with — don’t charge people. You just look cheap. My dining companions had the “half-chicken,” which was the smallest half-chicken I’ve ever seen and the funghi pizza, on which the waiter refused to add black olives. Again, I “get” the pizza in Italy thing, but in Italy, you’re offered 30 more pizzas than the 6 or so here, so be flexible. Dessert was the pear in caramel. Average. I woke up in the night with REALLY bad heartburn. I wandered in for lunch and ordered the wood smoked beans with tuna. It came out looking sumptious. I bit into my first bean…..and couldn’t taste anything! Eventually I got used to the tastlesness of it. I thought the tuna was albacore- dry- from a can. This is not October, it’s January, and although I only tried one dish, I was a bit underwhelmed. I’ll go back, but only in hopes of finding better. I still haven’t had a bad meal there either, though I haven’t been there as many times as you, mcz. I have had a full range of service, though, from poor to inconsistent to pretty good. I wanted to report having an excellent dinner at Nostrana this evening–starter of rabbit liver crostini with a roasted onion compote and some watercress. This was a home run dish. The liver was smooth and rich, the onion melange sweet with some chili-based heat, the greens were, well, green and gave the plate a little color and the other elements a textural counterpoint. Main was petrale sole (the local, seasonal fish of choice right now)roasted in the wood oven, finished with some blood orange compound butter and topped with a few blood orange segments. (Although not local, blood oranges are a seasonal delicacy now. Their exotic berry-citrus flavor always blows me away.) With a bit of salt added, it was a second knock out dish. I also had a stracciatella soup. Very basic, but a solid course. To the soup stock is added some egg, cheese and bread crumbs. Not much, just enough to thicken the liquid and give your spoon something to snare with every bite. This was workout day, so I also had dessert. (As if on nonworkout days I don’t :-). )My choice was a creamy semifreddo with lots of nougat bits and chocolate, topped with some fragrant and equally tasty bittersweet chocolate sauce. I was, yet again (for about the dozenth time), extremely pleased with my Nostana meal. Service too was fine despite a near full house. Of course, sitting by myself, I snagged a place at the counter by the oven and had Cathy and ovenmeister Mark Doxtader as my servers. Although I hate to give this away, for those who, by their own account, seem to fade into the background to servers, the counter is the way to go. I really like Nostrana and remain perplexed about the number of complaints I have seen here. Judging by the crowd, there are a large number of those who feel about Nostrana as I do. For those who have had difficulty in the past, maybe it has hit its stride and it is time for a return try. 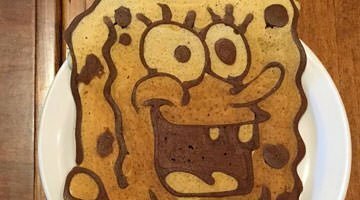 I am going to cross-post to portlandfood.org. I finally got a chance to go to Nostrano and found it to be just about as good as dining in Italia.The tomatoes atop the pizza margherita tasted like those from the summer garden;then I found that Kathy and crew had canned them last summer! !Everything I had was superb–the food, the service. Loved it so much am taking some friends in a couple of days. I also loved the feeling and quiet to the restaurant!! I realize this isn’t a current thread but I felt compelled to comment on Karen Brook’s “O” review on Friday. I have been to the restaurant twice now, and on both occasions I was sadly underwhelmed by both the food and service. With that said, I find “Our Miss Brooks” recent review to be oddly skewed toward the positive, even after acknowledging consistently inept service, the ridiculous “dress-it-yourself” salad, and the “you-slice-it” pizza, among other short-comings. Her obvious adulation for Cathy Whims seems to cloud her judgement on almost every level. IMO the A- grade she awarded was the death knell for A&E reviewer credibility. witzend: The first thing I did when I saw the review is write a friend saying, huh? I don’t mind the salad or pizza, because in Italy, that is the traditional way to serve them. Furthermore, the food has been much more consistent in my last few visits. With two exceptions, however, the service has always been lacking, and some dishes miss the mark. I love the space, and the food can be truly authentic and wonderful. Unfortunately, until they get the service down on a consistent basis, I’d drop them an entire point, or to a ‘B’ in this case. I’ve read Karen Brooks’s reviews since the early 70’s, and I think I can shed a little light on her puzzling Nostrana review. First, her reviews do tend to be emotionally driven, either by her sense of her own authorial persona (an example being her apparent desire to always be on the cutting edge of hipness, which I think explains her early and unwavering support for the Hebberoys) or by her affection for a particular chef (like Cathy Whims). Of course, we’re all driven by our desires and emotions, even when we try hard to be objective (as a sometime Portland poet, Robert Peterson, put it, “Good and bad intentions cling together like wet leaves”). But because Brooks wields a lot of power in the PDX restaurant scene, she ought to know better than to attach an “A-” rating to a “B” review. As you all probably remember, she plugged Nostrana eagerly and often from the first whisper of its intended opening, usually as the place where we’d all get to experience real Neapolitan pizza at last. (That mind-set pushed her to downplay Apizza Scholls, which I think got it right from the git-go and still makes the best pizza in town.) So when Nostrana had such a bumpy opening (my first experience was a disaster and later visits have been mixed at best), Brooks had a pretty agonizing dilemma on her hands. I think that explains the unusually long wait before the review came out, also the fact that she didn’t hand the review off to anyone else, for fear that it would be more negative than what she would write. She needed to make sure that Nostrana got at least an A- review because of the intensity of her pre-opening hype, but she also had to grapple with the ongoing problems there. All in all, I think she did an evenhanded job in the review itself, given her prejudice in favor of the restaurant, but she should have understood that rating that review as an A- was a puzzling and embarrassing disconnect. I hope she’ll finally learn that too much advance hype can backfire. I had my first Nostrana experience this past Friday night. My friend and I arrived at approx 9 oclock to an absolutely packed house. We waited a couple minutes and sat at the bar as we intended which was cool. The host was nice about the crowd and seemed genuinely interested in , well, hosting us. From the get go things did not look good though, they were out of the lamb and oyster dishes we wanted which I think i can understand at 9 on a packed friday. The bartender did bring us some outstanding prosciutto for our trouble which ended up being far and away the best piece of food I put in my mouth all night. The bartender didnt know about something we wanted on the menu and used humour to play it off which I thought was okay but he still should know. We got a pizza with arugula and the new york steak. The steak came out first and though we asked for it medium rare, it came out char broiled on top and completely rare in the center. We sent it back and the bartender told us that they would give us a new steak that would take a bit “because of the sauce on top”. The pizza came out and was underdone. I looked at some other diner’s pizzas and they looked much more evenly cooked. The taste was good however, and the arugula complemented the pizza very well. They brought us out the steak and it was the same one because the piece we had cut off was still on the dish and honestly it was further charred on top and slightly more done in the center though still not medium rare. This was literally 20 minutes later. The cipollini onions in a basalmic vinegar was very tasty but didnt make up for the lapses every where else. Service wise, the bar back looked like she was scared all night long and did not make any eye contact with customers when the bartender was not around. Waiters were dropping food behind us (twice) and the vibe was like a Beaverton strip mall. I really wanted to have great experience. I didnt. It just seemed too big and too happening for its own sake right now. Just my 2 cents. Went last night for the first time and was mostly pleased with the experience. We sat at the bar because we did not feel like waiting for a table. Started with the “large” salumi platter ($11). The meat (four different kinds) was good, but it was sliced so razor thin that it was difficult to even taste it. I would have much preferred fewer, but thicker, slices. The total amount of meat served with this platter could not have been more than one eighth of a pound. Not a good value, even when served with a plate of delicious bread (but no olive oil). Things improved with the tuna and corona bean salad ($9), which is served cold, with pickled vegetables, mostly carrots. It came with large chunks of tuna (canned, but tasty) and the beans were tender but not falling apart. We also ordered the margherita pizza ($9). This was the highlight. The pizza was easily enough for dinner for one person. It had a lightly charred crust and a perfect balance of cheese and tomato sauce. Probably the best pizza I’ve had in Portland, other than at Apizza Scholls. Along with the pizza, I ordered a side of “rapini” ($6). There were two problems with this dish: First, it was not rapini but rather brocolini, which is a poor imitation of this classic Italian green. Second, it was an extremely small portion–literally about 4 or five bites. On the positive side, it was well prepared–steamed and then sauteed in garlic and oil. The service at the bar was friendly and prompt. Like Mark Accuardi’s other restaurant (Gino’s), the wine list is outstanding (featuring many terrific wines from Tuscany and Piemonte) and very reasonably priced (about 1.5 x retail). One could do much worse than sitting at the bar at Nostrana, eating pizza and drinking great Italian wine. I really enjoyed the radiccio caesar. I thought that the amount of garlic and lemon was a perfect offset to the bitter radiccio, which actually didn’t taste all that bitter to me. I wished that they had cut the pizza in the kitchen. I know that it was supposed to be Authentic Italian, but if I’m going to be sawing at a pizza and droping it in my lap I would rather be at home where there is no one to see. Overall it was great, though our waiter seemed more interested in sashaying around the diningroom looking good than he was in taking care of our table. Traditional pizza margherita has a smattering of bufula mozzarella that serves as a counterpoint to splatters of sauce. Although it has become a commonplace addition, basil is not meant to be overwhelming (its addition has patriotic overtones). The pizza should have gaps in topping so that the distinct flavours do not become overly muddled. The edges should show significant char while maintaining an ethereal integrity. This is an ART! The american fixation with toppings (black olives…what a joke) misses the point. Some of the best pizzas I’ve ever devoured were topped with nothing more than olive oil, herbs, and salt. As for Nostrana, I’ve never had better pizza in the USA. The “tastebud” guy occasionally mans the oven and is a master pizzaolo. Although the pizzas had a tendency towards moistness they’ve adjusted and now have both char and integrity. We have not had the problems with service others mention; but I expect to linger over “slow food”. My only quibble with the margherita is that her sauce lacks the vibrancy of italian tomatoes. The tartufo and funghi are redolent with funky intensity. The marinara shows real chutzpah because shell-fish are scattered on a simple herbed sauce (no cheese!). The anchovy pizza should be consumed only by lovers of the briney and slimey. The other entrees range from good to occasionally great but it is the pizza that make this place shine. We love the Nostrana (salad) and find that the garlicky dressing perfectly complements the slight bitterness of radicchio. The wine list is an exceptional bargain…where else can you get good classicos, barberas, and rossos for 20 bucks? Some have mentioned “Apizza” Scholls (which makes a good east coast-style pie) as a better alternative. I feel compelled to note that Apizza is by definition wood-fired. The only authentic Apizza in this town is at Morrison and 13th. SDI, where on earth did you get this information? Are you their PR agent or something? You’d be wrong is why I ask, a little more research will lead you to the truth, Wikipedia isn’t research. Tastebud guys’ name is Mark, & he’d be the first to tell you he is in no way a Master Pizzaiolo, a great baker, yes. Out of respect for those whom deserve it, that title is only reserved for a few in this country. I thought, Apizza (ah-beetsa) was just pizza in New Haven Ital-English. Apizza was born in New Haven so Pork Cop is not half right. What are you some kind of a pizza nazi? There are 24 oz in a bottle of wine. Reds have been at room temp and whites have been lightly chilled. The wine IS a bargain. Wine that costs 30+ a bottle at other places is in the 20ish range. 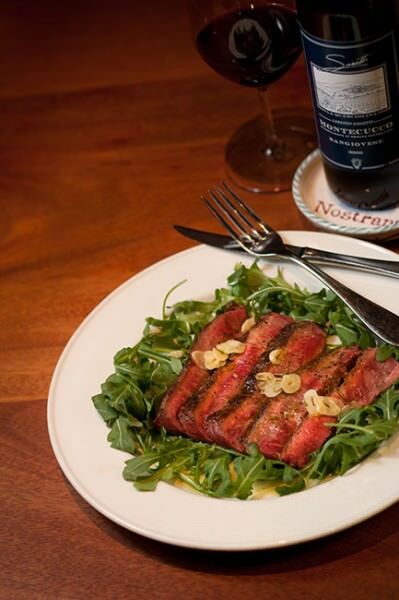 Have you even been to Nostrana? sdi – I don’t care how cheap the wine is if it’s stored/served at the wrong temp. Every time I’ve had it there, its been too warm. I’ve helped consume many a bottle at Nostrana and can’t say that I’ve noticed overly warm wine. I have had one corked bottle and they took it back with minimal fuss. Perhaps its the “by the glass” wine that is too warm. You’d be incorrect again! Apizza was born in East Haven, Paul’s Apizza in 1932, State Street (Now called Modern Apizza) in 1934 born in New Haven followed by Sally’s Apizza 2 years later. With any kind of oven they could have mostly coal though. Gas, nor electric ovens were available. Pizza Nazi? (Why this town uses this term is beyond me) NO, respect for Pizza & those that make it? yes. Yes Pork Chop is right, it’s (the word Apizza) simply bastardized english by way of New Haven, why is this so hard to grasp? Yes I have been to Nostrana, 5 times to be exact. I’m a pizza fanatic so I had to go. Since you claim it to be the best in the US, what are your Pizza credentials? What places have you tried? I shouldn’t have gone so early because their pies were nothing but grease dough discs & were that way the next 3 tries. A different person manning the oven each time should have told me they didn’t take it seriously BUT the fifth time I was finally able to taste what they were hoping to achieve with their pizzas, it was a delicious Neapolitan pizza. Too bad everything else was such a nightmare on every visit. Warm glasses of wine that required 3-4 requests for another. (I’m the only one who likes wine so I don’t order bottles) Forgotten orders, with no apology when brought to anyone’s attention that would give us eye contact. Begging for the bill when it’s obviously time to go. The FOH (ownership) is a joke, except for Cathy that is. I actually feel sorry for her, she seems lost & embarrassed by the fact that the FOH is such a mess. I liked her pizza (1 out of 9 that I’ve had) but simply cannot go back there again, I think they are just more about a scene of a place to be seen than great pizzas. PS. They’d better replace the corked bottle without a fuss, the distributor replaces it at no cost you know. Its lame to be so critical of a competitor while masquerading as a “simple” pizza fan. How many “handles” do you have anyways? You must be right…the families and dumpier types that fill Nostrana are there for the “scene”. As for my enthusiasm, I happen to prefer real pizza, not massive doughy American “pies”. how about we all get together and eat some totinos? as they say over at pillsbury… Tasty pizza ready in minutes? That’s Totino’s Party Pizza! With so many flavors, you’re sure to please the pizza people at your next party. Totinos is Akron Ital-English for pizza. It’s delish in any language. Has anyone else noticed the ridiculous use of wenge on the bar?…an overly forested wood from Africa…BAD choice! Anyone remember Ralph Wenge? He was a newscaster on Channel 8, I think, who had a ridiculous comb over to compensate for being somewhat underforested, if you know what I mean. Until Nostrana accepts reservations for dinner, I’m not going to visit them again until I can actually get in without having to wait a long time (>15 min) for a table. I am willing to commit to showing up on time and doing business with a restaurant if the restaurant is willing to work with me. Relish the fact that if you can’t get into Nostrana immediately and have to wait (or turn around and go elsewhere) that means there’s something special and magical happening there and it’s just not your turn to have an experience. If you knew Cathy Whims like I know Cathy Whims, you would take a look at the bigger picture of opening up a new place like Nostrana. If it has taken a bit of time to hammer out all the kinks in a customer’ mind (the service, especially) but it’s important to remember that NO restaurant or bakery has everything in its place at the opening. Most of the time it’s truly a mad, dash, scramble to the very first ticket coming through the kitchen. How can anyone predict what the day-to-day operations will be like? If you pay attention to Whim’s menu and basic, simple approach to her Italian cuisine, you will taste the most honest food around. Whims’ staunch attitude towards seasonal, local, and fresh produce and the finest of ingredients is what drives this restaurant in all its wood-fired glory. I had dinner there at the counter and given that everything is reasonably priced, my companion and I had a terrific meal. It was awhile ago in January since I was there so I can’t go into details, but believe me, Portland, you are damn lucky to have a chef as wonderful and talented as Whims. Just think of the future of Nostrana. . .how it will flourish. . .and when you finally get in, your experience will be at the right time. I don’t get it. So I went to Nostrana, had an OK meal and I’m supposed to realize it’s just “not my time” to have a good or excellent one? I am sure Cathy Whims is very talented. I am also equally sure that I do not leave it up to the fates as to whether or not I’m supposed to have a good meal. Could it be that you had a far, far better meal than most of us primarily because you are a friend of Cathy’s? I have to say that about 90% of my dissappointment in Nostrana has to do with front-of-the-house… something that a good manager has the ability to address and fix quickly. Actually, I met Cathy Whims (and Deb) at a cooking class a few months before Nostrana was open. Cathy’s enthusiam for the art of making true Italian wood-fired-oven foods was obvious and infectious. I am hoping that one day I will be able to get into Nostrana for dinner once the Oregonian “Restaurant of the Year” rush calms down. Nostrana has been open for quite a few months now. If major issues with FOH staff have not been resolved by now, it’s a shame since I doubt they will ever be resolved. nobody goes there anymore….it’s too crowded! This place was horrible, have heard nothing but bad things about the service and mixed about food, so I had to try it for myself, BIG MISTAKE. One of the worst dining expireinces of my life, and service was the best thing about it. Most of the food was edible at best, some of it, well lets just say sad. A very sad day for my palate and pocketbook. We went to Nostrana this weekend and it was a lot of fun! There was a lively crowd of well-dressed young professionals, but the wait was unbelievable. We reservations for 8, but still had to wait over an hour before we got seated. Still…the food was excellent. My flank steak over arugula was meltingly tender and very flavorful. Our server was a little terse, but I’m going to attribute it to exhaustion: we got seated after 9pm on a Saturday night, and people were still waiting for a table. I loved the decor and the space…it was nicely done with lofty ceilings yet maintained a cozy atmosphere. Thanks for the quick review, Audrey. Good to hear that you enjoyed the food! Unfortunately, it sounds like Nostrana’s FOH team is still not able to run a restaurant efficiently, given the “terse” server and the long wait even though you had made reservations for your party of 8 in advance. I still wonder why other restaurants with “no reservations except for large parties” such as Lauro Kitchen can make it work but Cathy and Deb cannot. The manager rolled his eyes at us and walked away. This behaviour is emblematic of a general attitude toward customer service. But perhaps most importantly, it shows that the service is a reflection of the poor treatment the servers must receive from the owners and managers. Absolutely unacceptable. I will not patronize a place which has such low expectations for themselves. However, do not take my word for it. I implore you to find out for yourself. This is the second Nostrana story of this ilk I have heard this week. Been there three times. First time, it was an enjoyable and tasty experience. Last two times, it went from bad to worse for pretty much the same reasons folks have posted here and elsewhere. I can’t figure out why the folks running Nostrana won’t get it together. For now, the nightly crowds allow them to put their problems on the back burner. Luckily for me, when I want good wood-fired cooking and efficient service, I know where to go. It’s painful to read about all the unhappy dining experiences at Nostrana. I just finished FD’s survey and had to think long and hard about my best restaurant in 2006 choice. We ate at Nostrana three times from Spring to Fall 2006 and loved every meal and had a really fun evening with friends, other patrons, while waiting for our table to boot. Never had a bad service experience, and really, I consider myself lucky, but the one time where the wait was really long, the manager brought us some hor doerves, gratis. I must say, that we stopped going just because I assumed it was a random stroke of luck that we didn’t get horrible service, despite have one of the most amazing crab dishes (fried in paprika) I’ve ever had. I hope they can get it together, but it seems as though Sir Loins is correct, after all this time, why would they pull it together at this point? I hope that you are not serious. You have found a restaurant that provides you with what you believe to be good food and service and you’re not going to return because not everyone agrees? Rather than think that you have so far dodged a bullet in terms of service or food, imagine that others have had experiences much like your own and simply found them not to their liking. Food, service, wine, movies, books, cats or dogs, people have different tastes. You dine for your pleasure. If you enjoy it, it is good. Today was our fifth or sixth visit to Nostrana and it’ll be awhile before we’re ready to go back. On our last couple visits the service was just so-so (slow, slow) and we chalked it up to the law of averages catching up with the times the service was really good. Today we got there about ten minutes before opening and waited, and waited. There was probably 20 or so of us out there and, at 5 minutes past opening time a lady came out and announced that they had more reservations than planned on so we should “just be patient and enjoy the sunshine”. No apology for opening late and for continuing to keep us waiting. A few minutes later she came back out and said that those who had reservations could enter and the rest of us would be able to come in after those folks are seated. Maybe 5 or 6 folks entered and the rest of us were left hanging. So, realizing that our desire to get in early and avoid a wait was pretty well down the tubes, we left. From our perspective, their poor planning and lack of graciousness did not make for a promising dining experience. Just curious how they should have handled it? Opening on time would’ve helped – how do you discern who is first in line when there is a crowd out front? Are people pretty honest about this kind of thing? I wasn’t there so I’ll take your word for it that it was unpleasant – just curious how you would’ve liked to see them handle it – it doesn’t seem like huge customer service crimes were committed but maybe I am just reading this wrong. Did others leave too? My husband and I went there last year for my birthday, and were extremely disappointed. We brought our own bottle and had no problem with paying the corkage fee. We did, however, have a problem with the fact that the server treated us like we were putting her out by having to serve us after it became apparent we weren’t buying our wine from the Nostrana list. In addition, they were out of almost EVERYTHING…at 9pm! I’ve had friends tell me that they’ve also had pretentious service there. I’m not anxious to try it again. This is why you should make a RESERVATION. No matter what time go to eat. Also if you bring a bottle you should always offer your server a taste. You should try to buy another bottle, or split, at least a couple of glasses of something, if you cant, at least tip accordingly….pay to play…if you wanna be a playa!!! Nostrana does not take reservations for parties smaller than 6 – at least that used to be their policy. It was Mother’s Day if I’m reading pizzaDude’s post correctly so I assume there were a lot of large parties that had made reservations. I am not sure how many dude had in his party but if it was more than 6 than yes reservations would’ve been prudent. I’m also curious if they (Nostrana) are doing any outdoor seating? With their service issues maybe they gave that up? Wow- many assumptions, Amoreuse! I was a server for almost 15 years…I ALWAYS offer the server a taste (even in this instance! ), and tip on what the bottle would have cost. And, we DID have reservations. They still didn’t have any food! It was a reasonable facsimile of a line so that wouldn’t have been an issue. And being a party of three we couldn’t have a reservation. It is my opinion that a reservation is nothing more than a guarantee of a table at an approximate time – not an award of preferential treatment over others who, because of the size of their party, are not eligible for a reservation. Not knowing why they opened late I’ll limit my suggestions as to how they could have handled it better: First, if they have a history of people waiting for their opening then they should consider not making reservations for right at opening time. With reservations limited to groups of six or more a few reservations can have an inordinate ripple effect on service overall. Next, the person who came out to let us know what was going on should have expressed some sympathy for the fact that we had been, and would have to continue, waiting for a few more minutes. Maybe throw a little humor into an explanation of just why they were opening late and why they were so obviously unprepared. Then I would have assigned a couple more staff to get everyone seated as quickly as possible in the general order of the waiting line. No second-class treatment of anyone. And you’re right, of course, in that this wasn’t a major crime in the world of customer service. But it was a real irritant at the time and, to me, indicated a dismissive attitude towards the customer. Thanks for the explanation – I don’t go to Nostrana for other reasons but your experience – albeit not horrible – will probably send you other places in the future. I don’t get their huge popularity but they are obvisouly filling a need. I’m sorry you had this experience. We’d been going to Ken’s more often because the wait there seems more pleasant and the out-door seating is less strip-mallish. On our last two visits Nostrana’s FOH was running more smoothly. Perhaps its because both times the owners were there in force (even bussing tables). We did not have to wait long for the pie, the crisp or the doppio. It was a near perfect evening. Kind of surprising actually. This place blows! Bad service, bad pizza, bad dessert, uncomfortable. Try Ken’s instead. I’ve been to Nostrana four times, and had one memorable meal, and that had a lot to do with perfect weather for sitting outside and the company. The food is generally good, but certainly not fantastic (the exception being an amazing caprese salad I had there). The service is only so so. My other comment concerns “Amoureuse’s” assertion that one should always offer the server a taste of wine if one brings their own bottle. I wait tables for a living, and have for over 20 years, and I don’t agree. I never “expect” someone to offer me a taste of their wine – they are paying the corkage fee, and I am there to serve them – if they so desire to offer me a taste, that’s great, but certainly not something they “should” do. I have no need or desire to go back. sorry to hear the service hasn’t improved. they hired allison from roux a while back as a front house manager to try and whip the crew into shape – maybe it didn’t take. anyone else have recent experiences with good or bad service? We go to Nostrana at least a couple of times a month. We go primarily for their incredible margherita pizza (which I prefer by a small margin to Ken’s or Apizza Scholls) so I can’t really comment on most of the menu. There was a period when the service was slow and disorganized, but I can’t remember the last time we had an issue. Even lunch seems to move smoothly now– it only takes ten minutes or so to get a pizza, which is a sharp contrast to what lunch was like at Nostrana a year ago. Great meal tonight at Nostrana. The charcuterie plate, with chicken liver pate, spicy onion relish (wah! so good! I want to eat it on everything!) and rhubarb mostrada, on great big hunks of bruschetta, is amongst the finest dishes I’ve had in PDX this year. Any year. I have been to Nostrana 3 times in the last month it is so good. (Though I will agree with the majority that the service leaves something to be desired). The strawberry rhubarb crisp with almond cream is absolutely divine. Is there any way to get the recipe? We heard so many good things about this restaurant so we made a terrible mistake and went there to celebrate my sons 20th birthday . Disaster!!! Don’t bother making any reservations they will make you wait by the door anyway. We waited for 25 min and nobody even said sorry?!?!!! After this worm welcome we had to wait to order another 40 min . ….. and for food another 1,5 hours!!!!!!!!!!!!!!!!!!! I lived in Florence for 2 years and I know how bistecha fiorentina tastes like at Nostrana they have no idea the meat was swimming in grease and fat and was hard like a brik from the Italian piazza that was the only Italian about it. after main course the waiter spell olive oil on my brand new jacket and instead off apologizing again disappeared for 20 min for this all trouble we had to pay 200$$ (3 of us) and my sons birthday was completely ruined , off course nobody bothered to sing a birthday song for him like the most restaurants do. So Bad bad bad. If employees of a nice restaurant ever sang happy birthday to me, I’d get up and leave. Leave the big hat to Chevy’s. PS. People would pay more attention to you if the exclamation point was just used once!!!!!!!!!!!!!! I’m with FD on the birthday singing but I completely empathize with Taina’s experience. I visited Nostrana for the first time on December 2nd for my anniversary and it was just abysmal. We had to send our entrees back and due to the complete misfires in both the kitchen and with service, we paid for our appetizer and bottle of wine then left (Without finishing our wine I might add and for us that is unheard of). Disappointing since I really looked forward to finding a restaurant here that does Tuscan specialties well. I had a wonderful almost-perfect meal at the bar last night at Nostrana. The service was excellent and the food delicious. I had the roasted trout stuffed with Dungeness, and Joe had the braised pork. We enjoyed both dishes immensely. For starters we shared the beet and sweet potato raviolis. The beet ravioli bathed in chive butter would make it to the list of best dishes in PDX for me right now. Our other starter was the fettucine with white truffles which was also yummy, but unfortunately a bit over-seasoned. The braised escarole as a side worked so well with both the fish and pork, we were truly licking our plates. Well, not truly, truly, but licking them in spirit with crusty bread. I am Italian and Nostrana is the closest to a real Italian restaurant it comes in North America, certainly here in the NW where we are so far from the Old Country (I’ve had some pretty authentic regional food in NYC, but then again the chef was Italian, not Italian-American or just a student of Italian cuisine). I’ve lived in Portland 6 months, tried out a dozen other famed restaurants, but this is the one I keep coming back to. The food is always top-notch, full of flavor but simple – as one would indeed find all over Italy. The only complaints: the place is way too big (this would not happen in Italy, where most restaurants tend to be small, family-run affairs). This can result in a lack of attention with the service, and doesn’t make me feel like a regular even after so many visits. In many Italian restaurants, the chef or owner (when it’s not the same person) will come out and talk to customers; I doubt that this will ever happen in Portland, despite its branding itself as a friendly city (and being a very small one). One of the recent times I visited, I announced to the server it was my birthday. Well, I went away with a loaf of their bread – a nice gesture, sure, but on similar occasions in Italy I ended up with a huge discount on the bill, or a free bottle of wine to take home, or coffee and dessert on the house. Finally, as a born and bred Neapolitan I must of course take issue on this blog owner’s idea of the perfect pizza: the Neapolitan pizza, which is of course the golden standard for pizza all over Italy, is not at all thin and crisp; nor is it soggy or thick. It’s a perfect balance of springy, soft, but not soggy dough, and slightly charred all around with bubbles. The topping is never over-powering, nor too soggy. The pizza is kept only a few minutes in the very hot oven. The dough is left to rise overnight, and a new batch prepared from the “mother” dough. And it is never, never thrown around like a javelin contest (that’s a totally American gimmick). Nostrana’s pizza is good, by all means, but for me it is a good Roman pizza (which tends to be more thinner and crispier), not THE real thing.